Find free classifieds for Houses for rent for sale or to buy in Karnataka. FREEADS in India offers you a platform to post free advertisements or classifieds for Houses for rent, Karnataka. FREEADS in India helps you search, find, buy, sell, rent or hire in various categories like apartments, goods for sale, local services, cars , jobs and many more in Karnataka. Shown below are ads available in Houses for rent, Karnataka. You can use search box above to refine your search. DNR Construction Executing Customers dream of interior works for Commercial and Non-Commercial Buildings with 17 Years on the field work with Happy Customer. The Services we provide, Bathroom Renovation and Kitchen Renovation and so on. 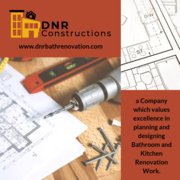 DNR Bath Renovation-We also help in renovating the commercial and non-commercial building. 2-B H K SEMI FURNISHED HOUSE FOR RENT APPROXIMATE BUILT AREA 1050 SFT WITH CAR PARKING AVAILABLE.AT REASONABLE TERMS. LOCALITY:NEAR SHANKARMUTT BASAVESHWAR NAGAR. CONTACT 23225694..
First floor unit for rent - Well-lit, newly painted with Living room, 2 bedrooms with 1 attached WC toilet, Dining room, Kitchen, 1 common Indian toilet, 1 common bathroom, Puja room, Balcony, Terrace. Small Family or Senior Citizens with resident housewife preferred. Only two wheeler parking for 1-2 allowed. Hello All, We have a 2 BHK house in ground floor with 2 wheeler parking. The house consists of 2 BRs, one Hall with Dining area, Utility area with separate door from outside. 2 bathrooms one inside house other one outside house. 24/7 water available. Borewell and Cauvery water both are available. Only Vegetarians are considered. 3 Bed room House for sale in Jp Nagara 8th phase, Its fully funished property and BDA Khatha.Price is 1.25 cr( Negotiable )Interested people contact me -88927.87.339. Get the 2 bhk flat for rent in Bangalore within your budget at zero brokerage fees. Pick from the wide range of flats in the area. For more info visit our website https://www.rentprop4u.com/flats-for-rent-in-bangalore-2-bhk or Call now (080)49580427. Get the 2 bhk house for rent in Bangalore within your budget at zero brokerage fees. Pick from the wide range of flats in the area. Call now (080)49580427 or visit our website http://www.rentprop4u.com/flats-for-rent-in-bangalore-2-bhk. Newly constructed House 2BHK available for rent on 2nd floor for monthly rent of Rs. 10, 000/- per month (Semi Furnished) Additional terrace pent house also available for separate rent of Rs. 5, 000/- per month (Semi Furnished). House is located in heart of Mangalore city at Bajjodi nearby Bikkarnakatte. Find 2 BHK Flat/Apartment for Rent in Bangalore on Rentprop4u at affordable prices. Get details of 2 BHK / Double Bedroom Flat for rent in Bangalore with property specifications, price & amenities. For more info kindly visit our website http://rentprop4u.com/flats-for-rent-in-bangalore-2-bhk. Best CCNA Training Institute Bangalore, CCNA course training yeshwanthpur, ccna certification training bangalore, Best CCNA Training Institute yeshwanthpur. Are you searching fully furnished flats for rent in Bangalore within your budget, and then rentprop4u is the Bangalore's No.1 Real Estate Portal. Get complete details of property specifications & related amenities, features For more info kindly visit our website http://rentprop4u.com/flats-for-rent-in-bangalore-full-furnished. Are you Searching apartments or flats for rent in JP Nagar, Bangalore? Get verified list of 1, 2, 3 & 4 BHK flats without brokerage at Rentprop4u. Feel free at the comfort of your own home with no hindrances of landlords. For more info visit our website http://rentprop4u.com/flats-for-rent-in-bangalore-jp-nagar. Are you Searching flats for rent in Kudlu road Bangalore? Get verified list of fully and semi furnished flats without brokerage on Rentprop4u. For more info visit our website http://rentprop4u.com/flats-for-rent-in-bangalore-kudlu_road. This is a PG for men at Nagarabhavi 2nd stage, near Ambedkar college Very calm locality with lots of facilities. 4500 for 4/2 sharing room with food 4500 for 3 sharing room with food. Rooms with attached Bathroom ( 2/3/4- Sharing), Hot & cold water supply. Good housekeeping facility. 22 inch Led TV with DTH connection in each room. Well furnished 2BHK(1st floor) house for rent in Kengeri. 2kms from Railway station/Global village/Kengeri bus stop/Kengeri market/metro. Near Uttarahalli main road.Preferred:Family & Vegetarians only.No bachelors.Rent:15k.House owner:Narasimha Murthy Phone: 9901945200..
Pg is secure, located in Nagarabhavi 2nd stage , homely environment, facilities include 24 hr water and eletricity, well furnished rooms. LED TV in Each Room, Wi-Fi Connectivity, 3 Times Food, 24hrs Cold & Hot water, Drinking Mineral water, 24/7 Security, Attached Bathrooms, 1, 2, 3 & 4 Sharing Basis and many other facilities . 2BHK / 1BHK, 24hrs water supply. Marble flooring, Covered Car Parking, One hall, One Kitchen, Two Bedrooms, One Western Toilet, Easy Access to IT Parks/ Banks/schools / Hospitals. VEG only- East facing with good environment 2 BHK, spacious Hall, Cute rooms, pooja room, bath room with Gyser, luxury tiles and fans. Best suitable for 2 persons. contact: chandra mohan, Address: #4, 1st floor, 12th main, 17th 'A' cross, 5th phase, JP nagar, nearby Delmia circle..
Paying Guest Accomodation - offers PG for Rent: Amenities and Features: • Bed • Cot • Adequate Water Supply • Parking Facility • Safety Lockers • Security Contact for more details : [ Nine Seven Three Eight Zero Two Three Two Three Three ] / [ Eight Eight Nine Two Seven Eight Seven Three Three Nine ]. 2 bhk rental villa at bejai for Rs.9000. 2 bhk rental villa at bejai new road or bhajanamandir road for Rs.9000. 1 st floor..For more details call or whats app +91-9972996537 or 08244286701..
24 hours security service at PG , Mathikere, Bangalore. This is a PG for women at Mathikere , close to Ramayya College&Hospital. There is purified water that is available and there is 24 hours of hot and cold water facility that is available. You will have care takers 24 hours. There is also individual wardrobes with lockers. Tv, Washing Machine are available for everyone. This is a PG for women at HBR LAYOUT with two wheeler parking facility. You will see that there are individual rooms that are available with lockers. You will have a LED TV with DTH that is available. There are 24 hours of free wifi and also hot and cold water. Available for both with food & without food. 2 bhk apartment for rent at derebail for Rs.8000. 2 bhk apartment for rent at derebail for Rs.8000, negotiable, only for families, not ready give to student.For more details call or whats app +91-9972996537 or 08244286701..
2 bhk villa for rent at kadri for Rs.11000. 2bhk villa for rent at kadri for Rs.11000.villa measuring area 1250 sq.ft , ground floor for rent , car parking , negotiable, deposits Rs.70000, only for families.For more details call or whats app +91-9972996537 or 08244286701..
PG for women/working ladies/students at HBR Layout near hennur cross. Fully furnished , Spacious, comfortable, convenient location and safe. Neat and clean with regular maintenance. Homely Food and atmosphere, 24/7 water. 22 inch Led TV with dth connection in each room , 50/mpbs Internet wi fi >, Power backup , Cot and Mattress with pillow , Washing Machine and other facilities. 2bhk house on 1st floor for rent at Mannagudde near Durgamahal for 11000 .1080sq.ft , 8 years old , unfurnished , only for family like marvadies, dujarati. For more details call or whatsapp 91-9972996537 or 08244286701. 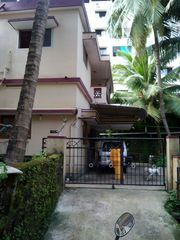 2Bhk i villa for rent at Nanthur for RS.9000. 1000sq ft, Marblefloring, well water. Total one flore, 50000 deposit, only for Hindu family. For details call or whats app 91-9972996537 or 08244286701. Search pointer is the one of the best provide Construction Companies Listing of residential and commercial buildings in Bangalore. We are giving top list of Building Construction Service like integrated design, engineering, procurement, construction & project management services for the energy & infrastructure sectors once visit our site to make your dream real. India ads for Houses for rent, Karnataka, Houses for rent free ads Karnataka, Houses for rent for sale Karnataka, Houses for rent to buy in Karnataka. This page is a classified ads listing for Houses for rent Karnataka. This listing includes classifieds for sale and to buy in Karnataka. If you posted an advertisement on Houses for rent, Karnataka before please use Edit my ads button to change or cancel your ad. Houses for rent Karnataka ads Karnataka, Houses for rent classifieds Karnataka, Houses for rent free ads Karnataka, ads for sale Karnataka, ads to buy Karnataka, FREEADS in India. Find here ads for sale, to buy and rent in Karnataka. Goods for sale in Karnataka, vehicles for sale in Karnataka, Karnataka real estate for sale, Karnataka property for sale, property for rent in Karnataka, business ads in Karnataka, Karnataka business classifieds, services in Karnataka, Karnataka services ads, jobs in Karnataka, pets for sale in Karnataka, Karnataka dating, Karnataka cars for sale.